Each summer, we collaborate with the University of Maribor (Slovenia) and the University of Rijeka (Croatia) to co-host a conference at the Inter University Centre in Dubrovnik on some philosophical topic, which typically alternates between problems in metaphysics and epistemology and problems in value theory. The conference series is now in its eleventh consecutive year since its interruption during the Balkan conflict. 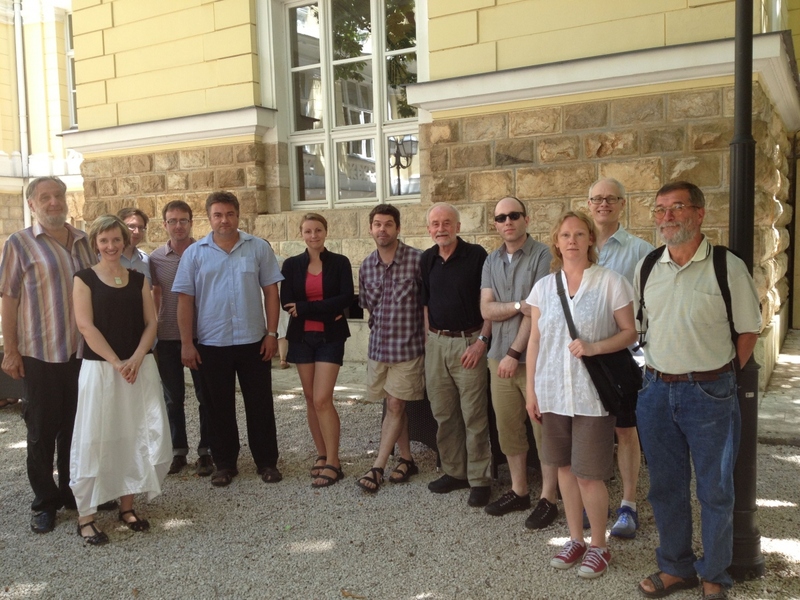 The 2013 Dubrovnik Conference, held June 17-21, focused on the philosophy of art. More specifically, the conference—organized by Professors Ben Caplan, David Sanson (now at Illinois State), and Boran Berčić (from the University of Rijeka)—centered on issues at the intersection of metaphysics and philosophy of art (sometimes crossing into philosophy of language), where “art” was broadly construed to include such art forms as literary fiction, musical works, Hollywood movies, and gardens. Ohio State and local speakers were joined in Dubrovnik by an impressive line-up of philosophers with interests in philosophy of art: David Braun SUNY-Buffalo; Robert Howell, SUNY-Albany; Shieva Kleinschmidt, University of Southern California; Carl Matheson, University of Manitoba, Canada; Guy Rohrbaugh, Auburn University; Sarah Sawyer, University of Sussex, England; and Joshua Spencer, University of Wisconsin-Milwaukee. For the upcoming summer in Dubrovnik, Professors Chris Pincock and William Taschek have organized a conference on the history of analytic philosophy. It promises to be another exciting and productive opportunity for some of the world’s leading experts on various aspects of this history to share their ideas.